Choosing the right security system for your home or business is an important decision. There are a lot of security system installation companies in Boyton Beach, Florida. Choosing the right company that offers the right products at the right price will make a big difference in how satisfied you are with your security product. How much access do you need when you aren’t on site? What is the purpose of your security? Knowing the answers to these questions will make choosing a security system less time consuming. The price of your security system will fluctuate greatly depending on the type and level of security you purchase. More inclusive security packages that include everything tend to be more costly because of the extra equipment. TechPro Security offers a variety of security equipment such as cameras, lighting options and alarm systems. Security systems can range from several hundred to several thousand dollars. 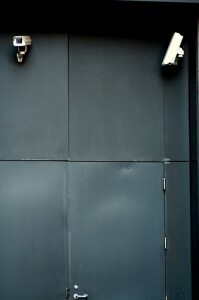 We offer a variety of camera systems so you can monitor your property whether you are on site, at home or out of town. Whether you decide to install a more expensive security system or opt for a simpler, less costly system, we offer professional security system installation services in Palm Beach County, Florida. Our professional installation services means you can be assured that your security system is installed correctly and working properly before we leave. Security needs for a large office building and a small home can vary depending on what you are looking for. For example, if you need to monitor specific areas inside or outside of your office without attracting attention, you may choose a covert type camera. These can help you catch persistent vandals, thieves or trespassers. If you are more concerned about monitoring live footage, you can choose from several cameras that allow you to view the camera ranges live. These are ideal for homes or offices with security personnel who need to monitor several areas at once. You can choose from infrared cameras and high-quality video cameras and motion-sensitive still-shot cameras. TechPro is one of the most affordable security system installation companies in Boyton Beach, Florida. Whether you need security cameras that will fit on your license plate or cameras designed to withstand explosions and vandals, we can help. Knowing what you need before you purchase will make shopping for a security product much easier. Do you want to be able to monitor or view security footage from a separate location? Or do you need an easy-access system with a control monitor at your fingertips? We sell several products that allow you to access footage through your mobile device or computer with our app. We provide Boyton Beach security system installation services that allow you to get access to your security footage where you need it, when you need it. Gone are the days of driving back to the office to view footage. You can access live or stored footage with a few clicks on your phone. If you need help accessing your security system, feel free to call our technicians so we can help you solve any problems. Why are you having your security installed? If you need to catch vandals or thieves you can choose from several discreet options that allow you to record activity on or around your property without drawing attention to your camera. But, if you want to deter criminal behavior, attracting attention to your security system may be the point. We offer vandal proof cameras as well as cameras that are small enough to fit on your license plate. We are among the Boyton Beach security system installation companies that offer cameras suitable for nighttime shooting as well as day time filming. You can choose from several professional security system installation companies Boyton Beach, Florida but TechPro offers the convenience of shipping your product from our partner company, Security Camera King and providing quality installation service. We know the products you are ordering and we know how to install them properly. If you want to work with the best Boyton Beach security system installation companies in Florida, call us now to learn more about our installation services.